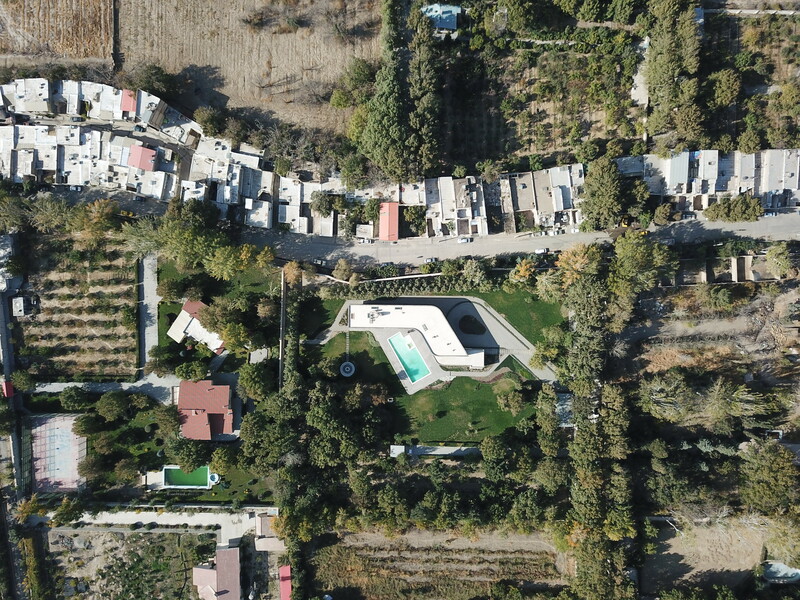 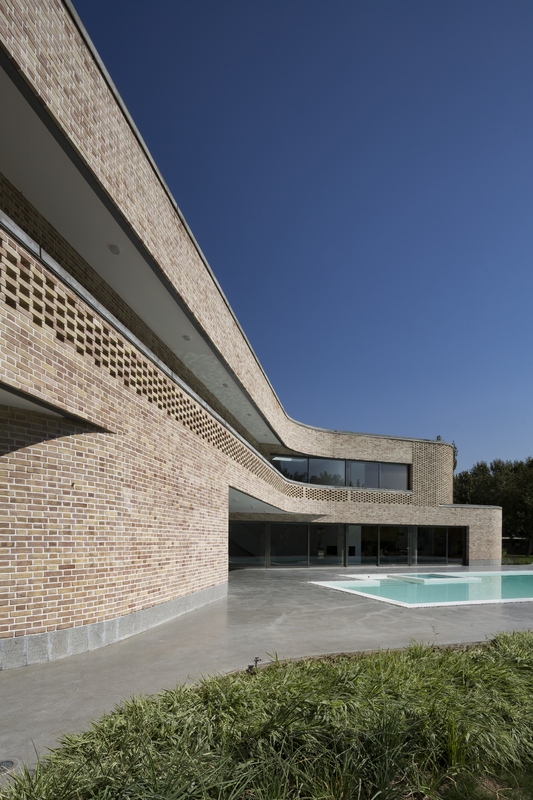 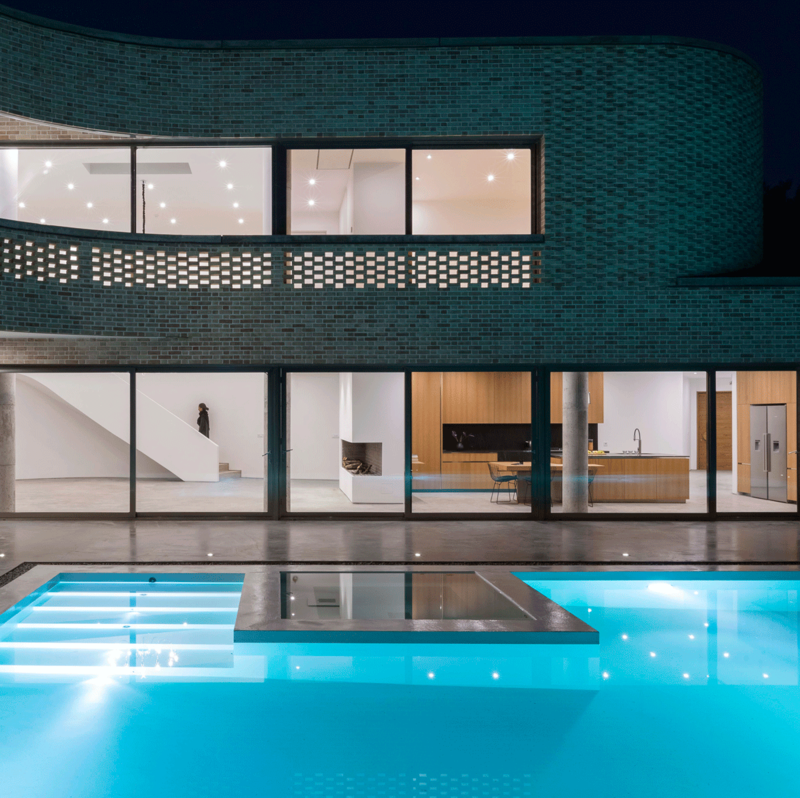 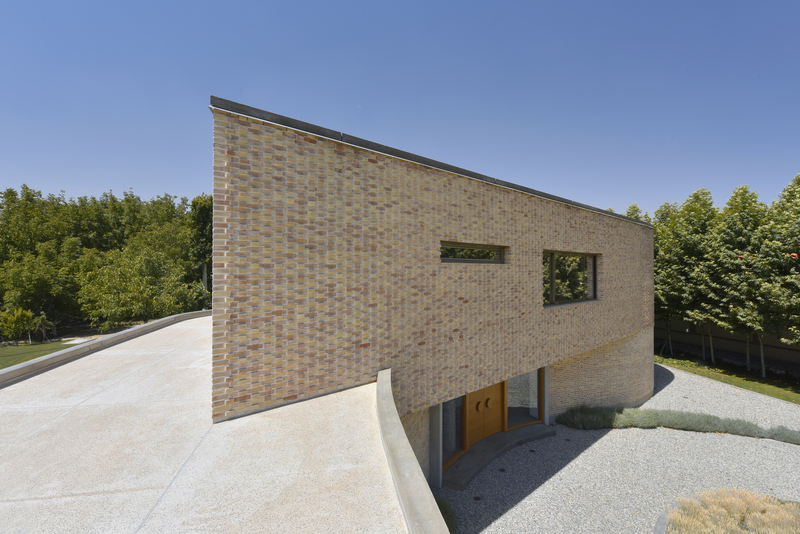 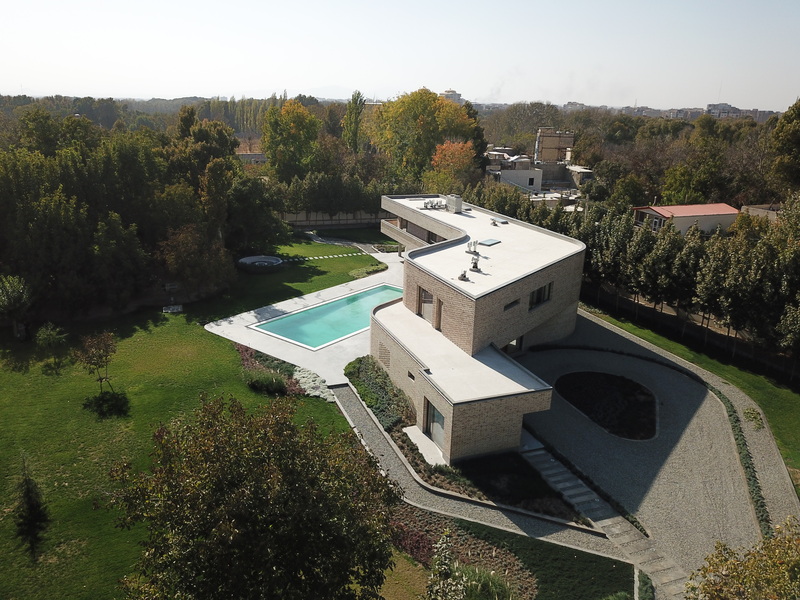 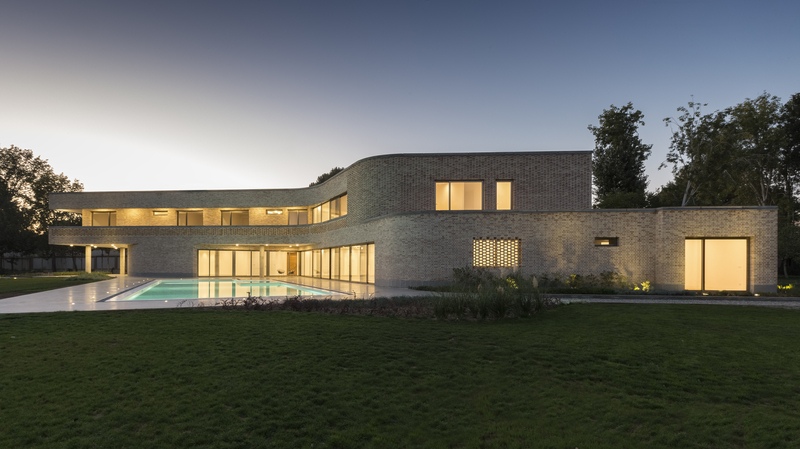 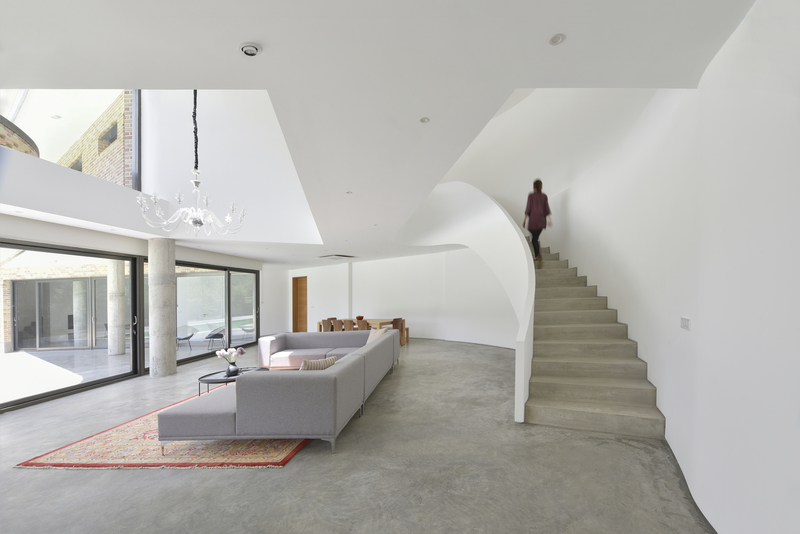 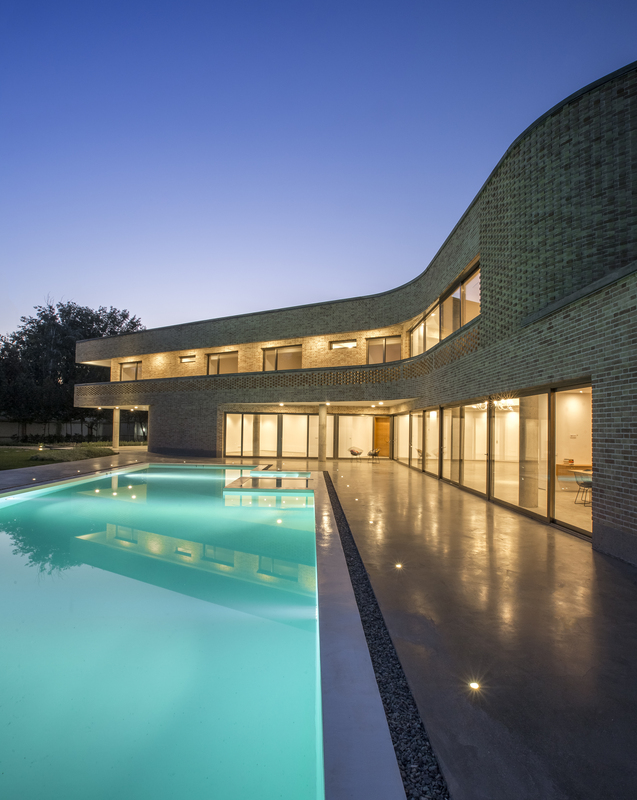 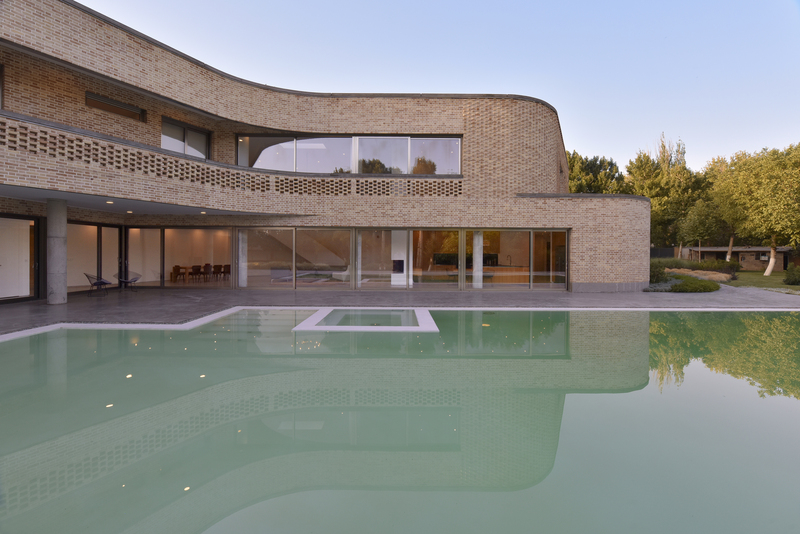 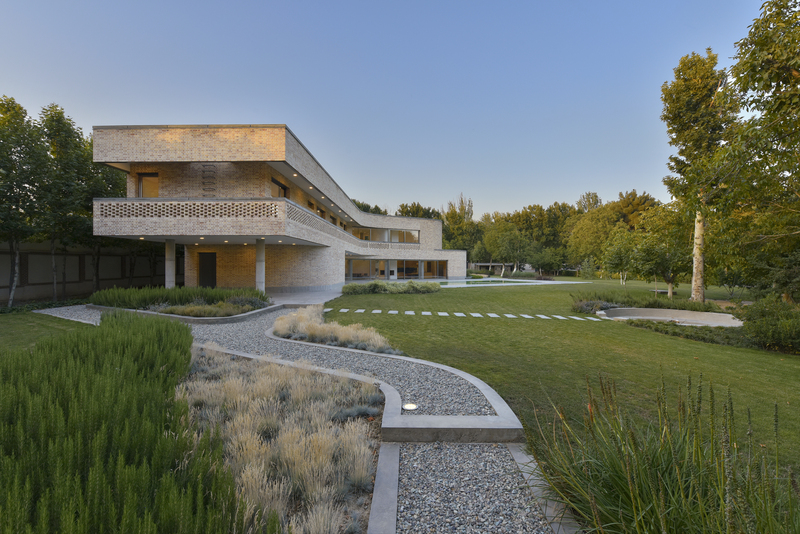 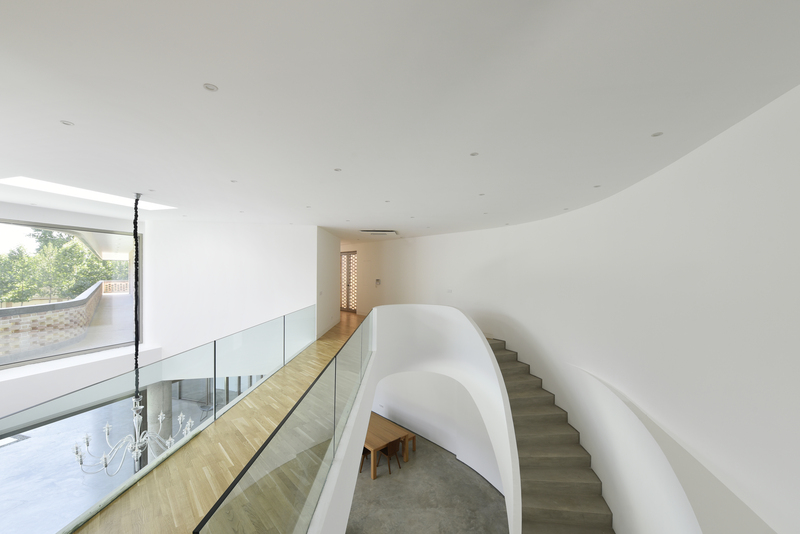 GOL KHANEH is conceived and designed as a single family vacation home for a family of six. 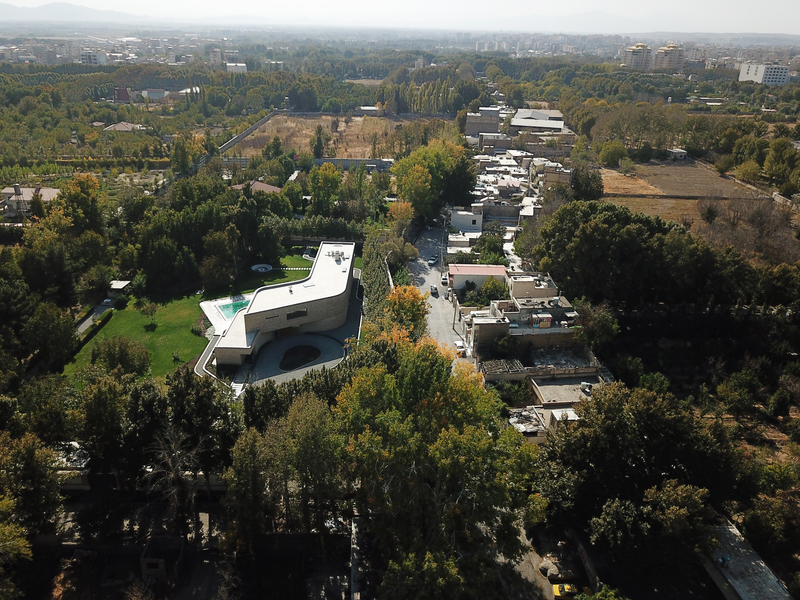 It is located at the end of a narrow tree-lined street named Golkhaneh (Greenhouse) in a tranquil gated community about 60km west of Tehran. 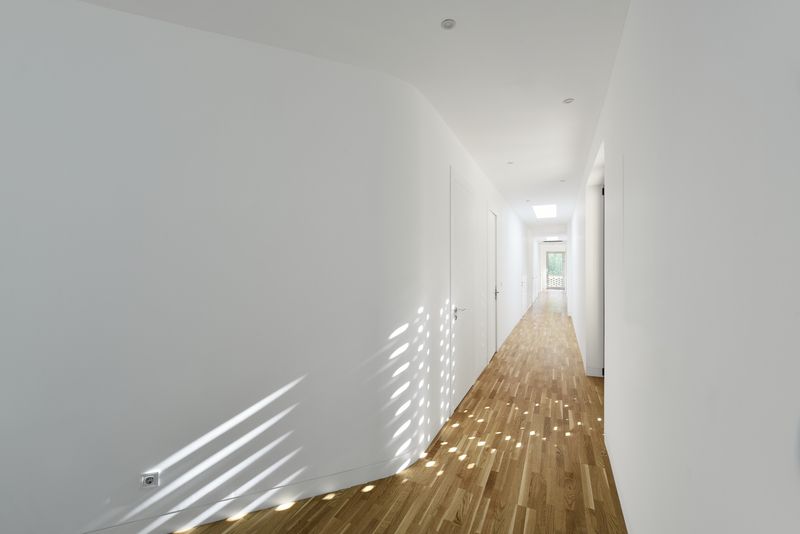 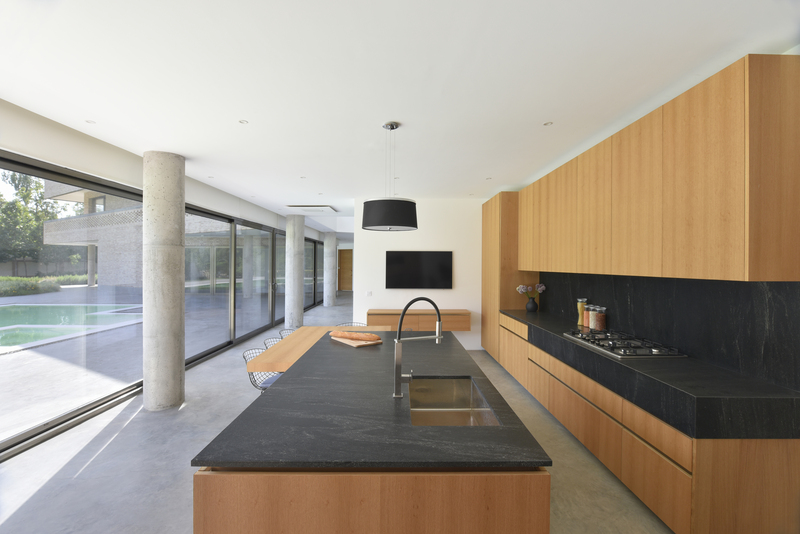 Moving away from the more conventional layouts, massing for this project is long and linear – similar to a thick wall – to create a buffer against noise and chaos of the adjacent street and limit views into the site. 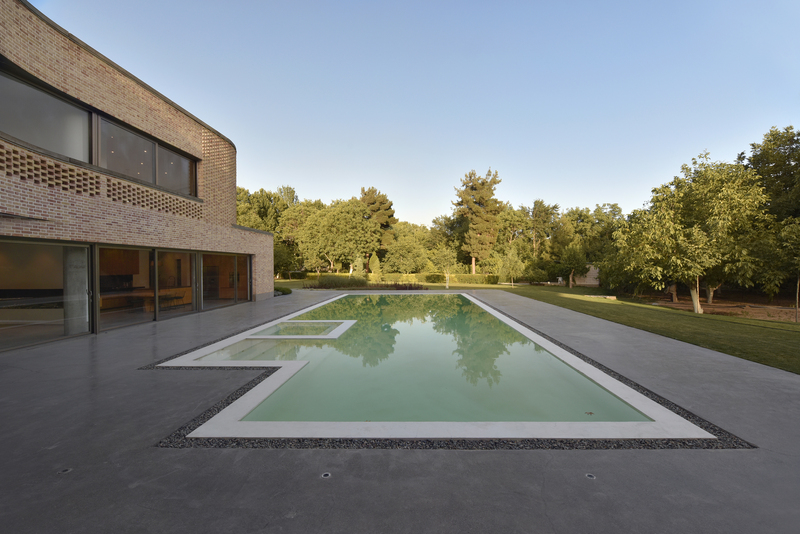 This massing then gets deformed to create a more private pocket for the pool and outdoor sitting areas. 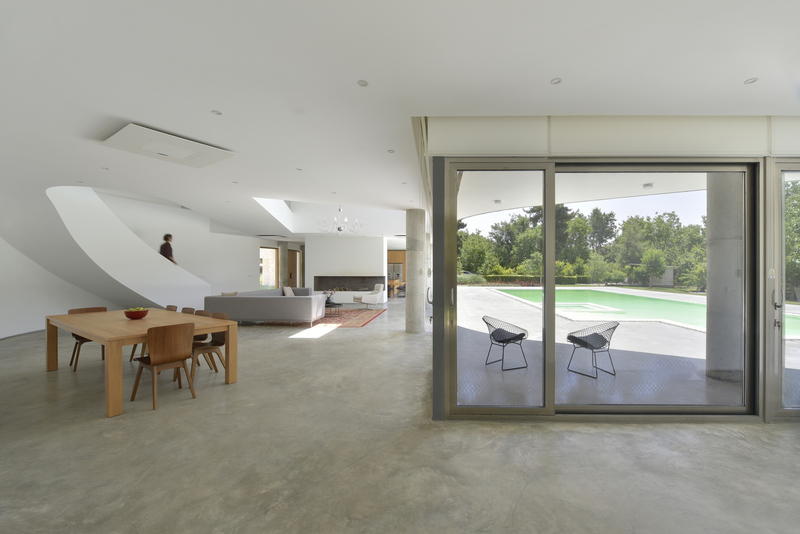 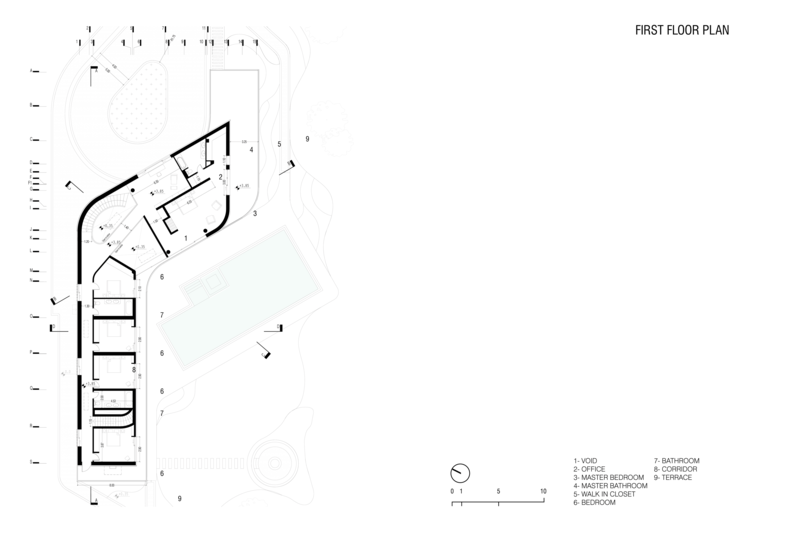 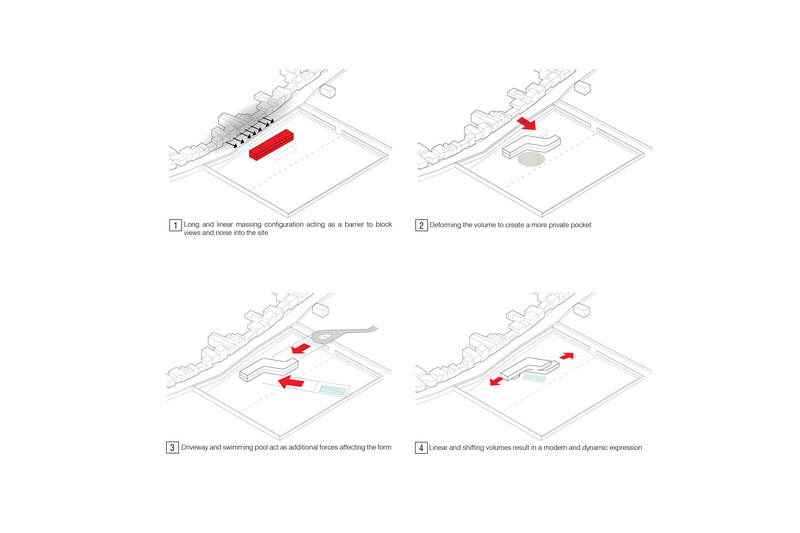 The form is additionally affected by insertion of the driveway and the pool. 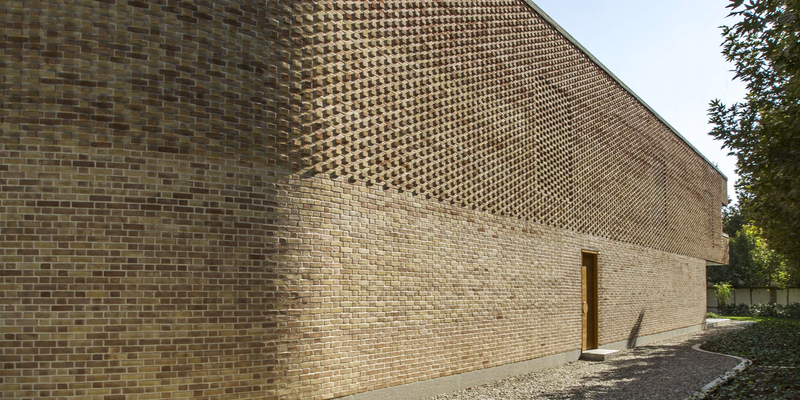 The result of this operation is a dynamic and modern form wrapped with a brick skin – a long-standing element in Iranian architecture. 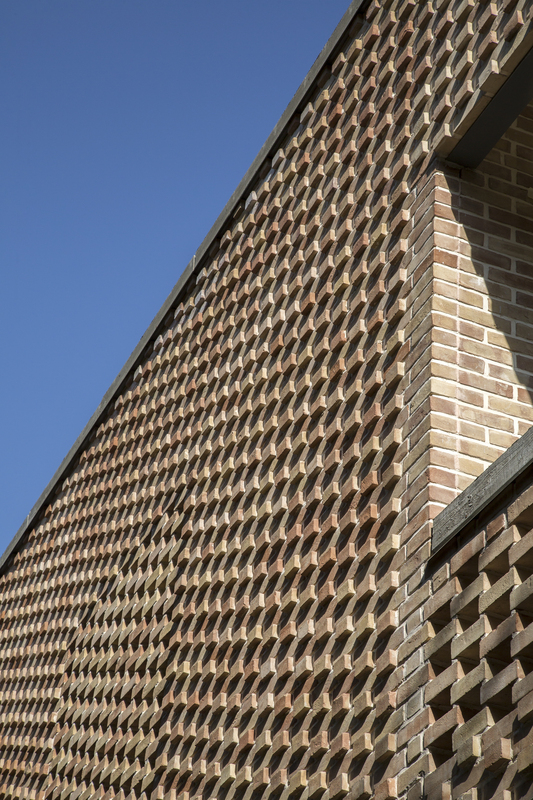 Bricks are from Heydari Kiln – still making bricks in the traditional way one by one and by hand. 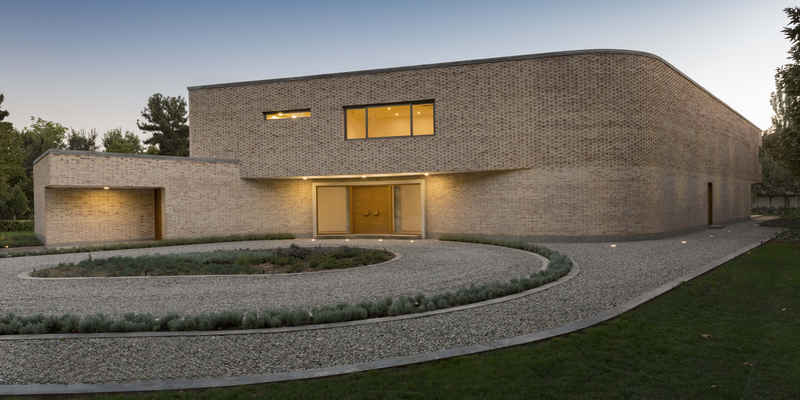 The brick layering technique is “Kaleh-rasteh”, one full brick followed by a half brick. 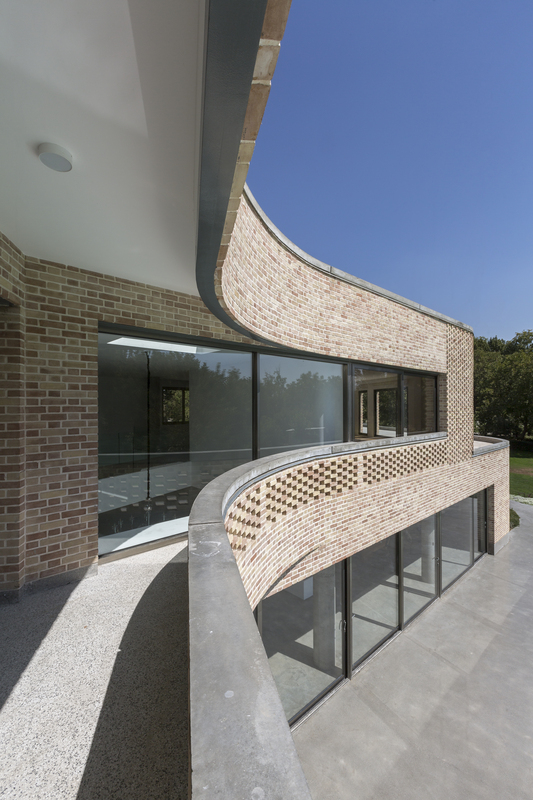 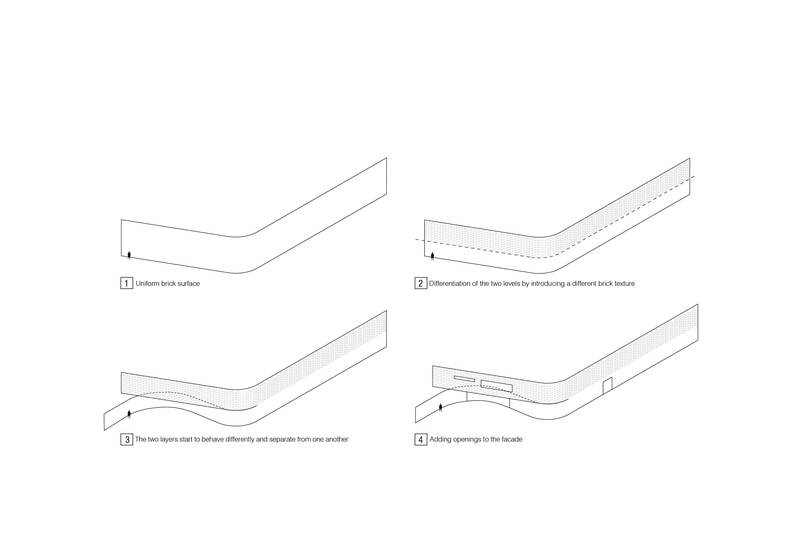 Three simple variations on this technique creates the opportunity to have different textures on the façade and have porosity at windows and balcony balustrades. 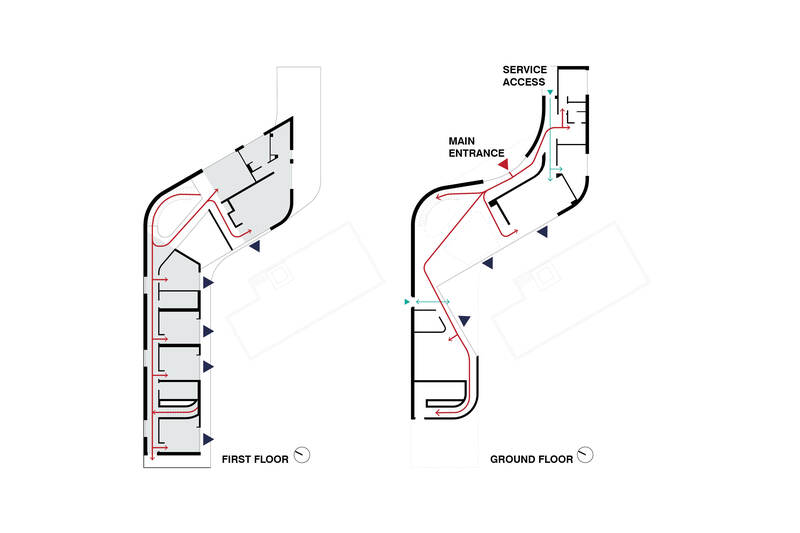 Structural system is concrete columns and slab with columns pushed to the sides and following the direction and form of the building. 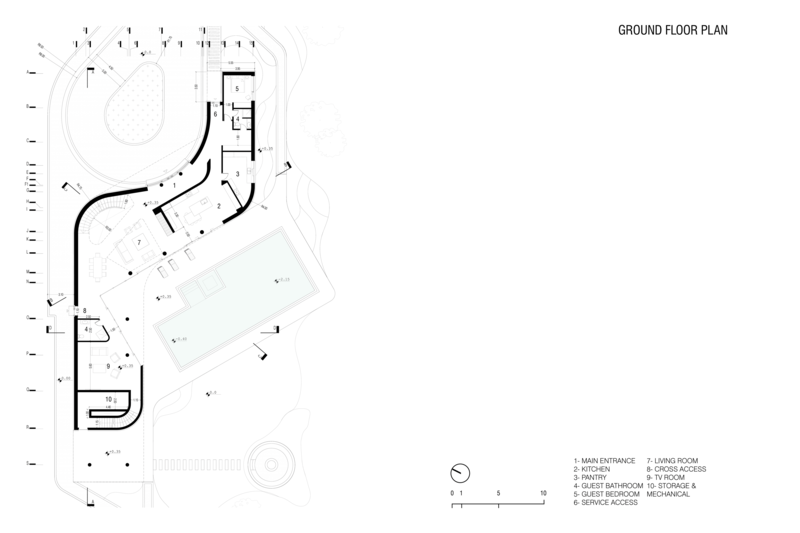 Landscape design remains integral to the project. 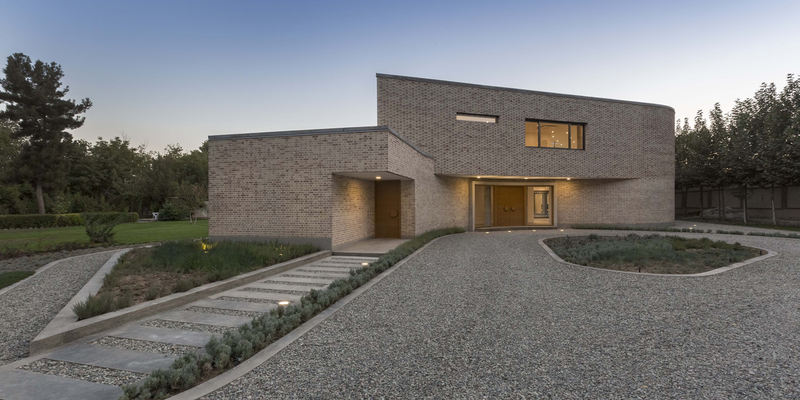 Path lines are following building lines and material palette is cast-concrete and gravel. 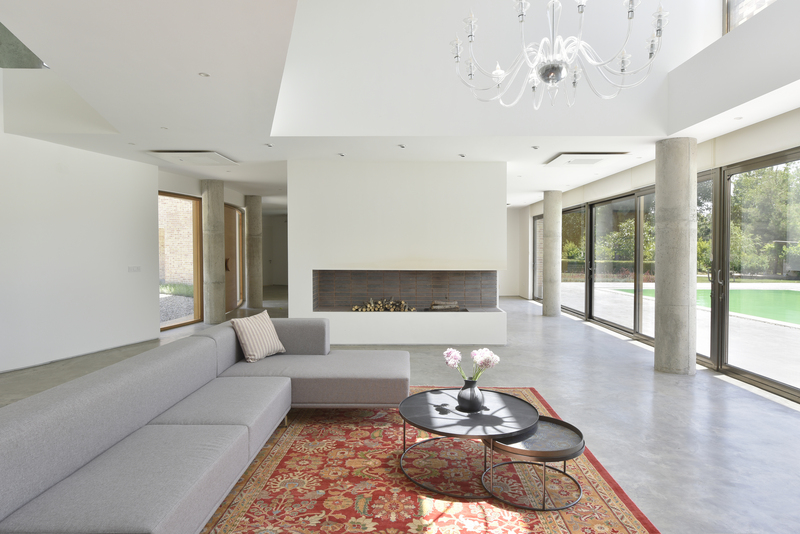 Plants are chosen from a wild and grass-type palette to create a natural and accidental feel.